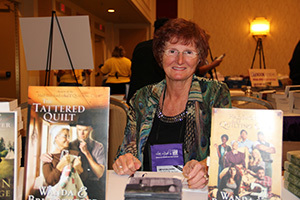 To book Wanda for a book signing or speaking event, please contact Shalyn Sattler. 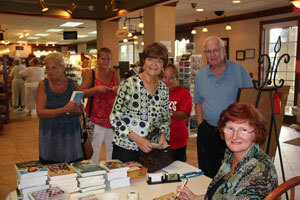 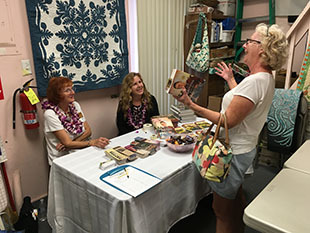 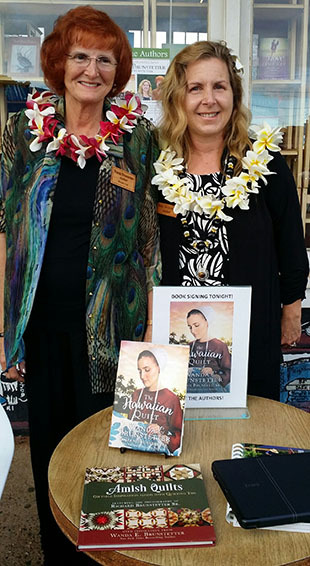 Wanda signing books in Kauai, Hawaii with co-author, Jean. 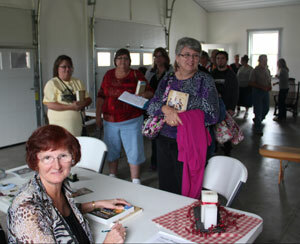 Wanda previously signing books for Iowa fans. 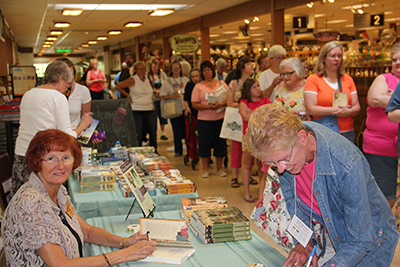 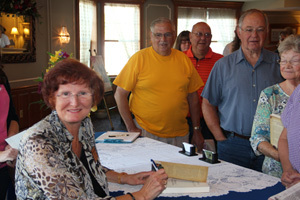 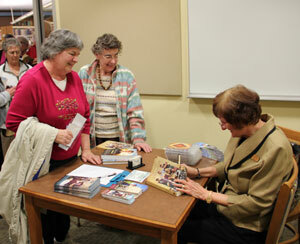 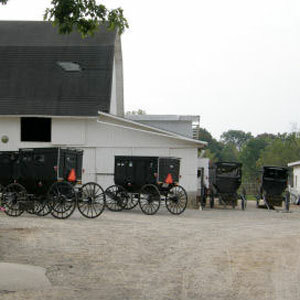 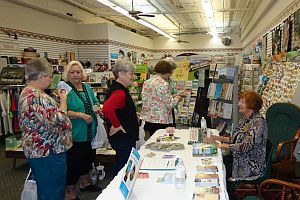 Wanda previously signing books in Shipshewana, Indiana.